Last week I introduced five ways to build your email list, including offering giveaways and participating in cross-promotions with other authors. This week, I’m going to go into more detail on the how of giveaways and the tools you can use. I’ll talk about cross-promotions next week. You can organise a giveaway yourself through something as easy as offering a prize to one commenter on a blog post, or through an online giveaway using a tool such as Rafflecopter or KingSumo. 1. They don’t encourage entrants to sign up to your email list. 2. They don’t encourage entrants to share your giveaway. Think about it: if I find a giveaway or contest that has only one entrant and I also enter, I have a 50% chance of winning that giveaway. If I share the giveaway and more people enter, I’ve reduced my own chances of winning. People are unlikely to share if sharing goes against their own self-interest. If you’ve organised a giveaway and you’re the only person who is sharing it, that’s probably what will happen: you’ll only have a small handful of entrants, and the giveaway won’t be shared beyond your faithful readers. That might work for you if your objective in running the giveaway was to reward your faithful readers. But if it was to extend your platform, a simple blog comment giveaway is unlikely to work. The answer to this dilemma is to incentivise participants to share the giveaway, which is where tools such as Rafflecopter and KingSumo are useful. Rafflecopter is a free giveaway tool that’s integrated with Facebook, Twitter, Pinterest, and various email providers. 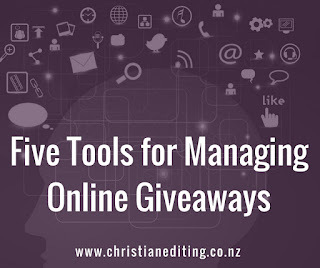 Giveaway organisers can set a variety of tasks for entrants to complete, such as commenting on the blog post, following the author on Twitter, liking their page on Facebook, sharing the giveaway on social media, or signing up for an email list. I’ve never run a Rafflecopter giveaway, but I understand email addresses can be downloaded at the conclusion of the giveaway. Basic Rafflecopter giveaways are free, but you’ll have to pay for premium features like Pinterest entries (USD 13 per month), email list integration (USD 43 per month) or viral giveaway links (USD 84 per month). Rafflecopter does offer a free 7-day trial, but it’s limited to 50 entries. Contests can also be run through Facebook. Personally, I’m not a fan of Rafflecopter. Organisers often set up a huge list of ways to enter, which can seem overwhelming to me as a potential giveaway entrant. And there are often too many hoops to jump through e.g. having to find the tweet URL to paste it into your entry to prove you’ve tweeted about the giveaway. Having said that, Rafflecopter is easy to set up, and the basic level is free. The objective of a KingSumo giveaway is to increase the number of subscribers on your email list. It integrates with Aweber, CampaignMonitor, ConvertKit, GetResponse, and MailChimp. It does this by adding each entrant to your email list, and by sending them each a unique code and encouraging them to share it on Facebook, Twitter and other social media. As an entrant, the more people enter the giveaway using your unique code, the more entries you get and the more likely you are to win. Rafflecopter rewards an entrant for sharing on Facebook or Tweeting, whether or not that sharing results in more entrants to the giveaway. KingSumo only rewards an entrant for sharing if that sharing results in more entries. KingSumo is a WordPress premium plugin, and is only available for WordPress.org sites (i.e. self-hosted WordPress). It costs USD 199 (although you might be able to find a 50% off coupon, which prompted me to buy it). 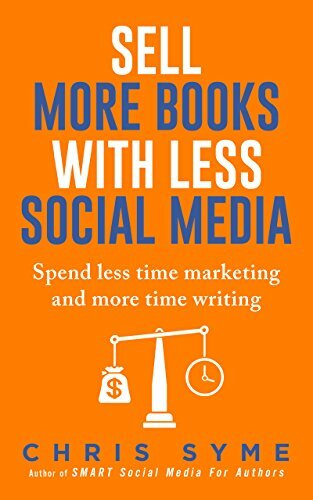 If you’d like to see a KingSumo contest in progress, click here to enter to win a Kindle copy of Sell More Books With Less Social Media by CK Syme. As with any email list tool, entrants have the option to unsubscribe. And it’s all random—KingSumo picks the winner. Note that GiveawayTools is different to GiveawayTool, which appears to be a random drawing mechanism. Giveaway Tools is currently in beta mode. It appears to operate in a similar manner to Rafflecopter, but includes Etsy and Pinterest integration in the free model, and uses Twitter API to check someone has tweeted (which saves the entrant having to find the tweet URL). It’s currently free, and although I’ve no doubt it will introduce premium paid options in the future, early adopters will probably get the best deal on future paid features. If you’re looking for a giveaway tool, GiveawayTool might be worth checking out. Gleam is similar to Rafflecopter, except that entrants don’t have to prove they’ve undertaken actions like tweeting. This makes it easier for entrants, but more difficult for the organiser, as they have to confirm the entrant did undertake the required action before declaring a winner. Gleam is available via a website, or as a WordPress plugin. There is a free plan with limited functionality, and paid plans start at USD 39 per month. PromoSimple is similar as well. It is also available via a website or a WordPress plugin, the free plan allows for Facebook and social media sharing promotions, and paid plans start at USD 15 per month. Some paid plans will integrate with email providers including Constant Contact, MadMimi, and MailChimp. It allows entrants to refer friends to earn additional entries. 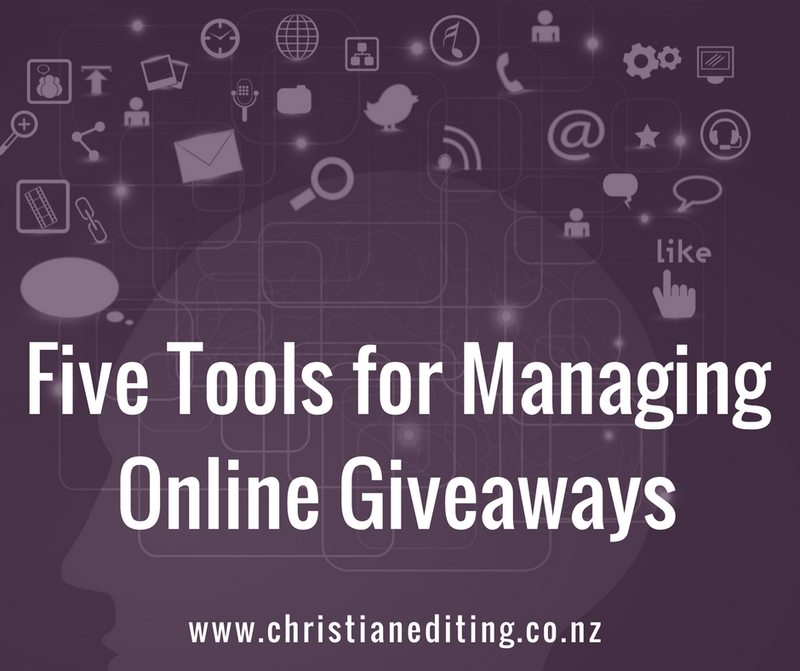 Which tool you use will depend on the reason you’re running a giveaway. If you’re trying to build brand awareness, then Facebook integration is probably more important than email integration. If you’re trying to build an email list, that email integration is going to be a major deciding factor. KingSumo is great for organising giveaways which incentivise participants to share, but isn’t cheap. However, it does have the advantage of being a one-off cost rather than a monthly subscription. If you plan on conducting multiple giveaways over a long period of time, it’s probably the best investment. What giveaway tools have you used as an organiser, or as a participant? Which would you recommend for cost, ease of use, and functionality? 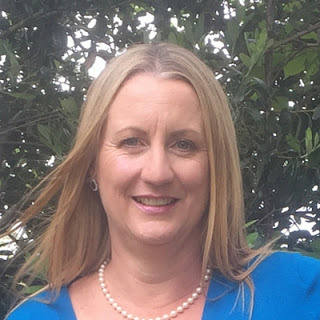 I am a freelance editor specialising in Christian fiction. Visit my website at www.christianediting.co.nz to download a comprehensive list of publishers of Christian fiction. I also write contemporary Christian romance with a Kiwi twist—find out more atwww.iolagoulton.com. Thanks for that feedback, Christine. I guess that means free Gleam works as an alternative to Rafflecopter, but not as a tool for growing your email list. Hi Iola, Thanks for sharing a range of giveaway tools. I've used the free version of Rafflecopter and found it easy to use.